Many car accidents are just insurance scams that consumers end up paying for through higher premiums. You’re driving down the street or a highway or freeway and are suddenly involved in an accident. Not just any accident, but a carefully orchestrated and scripted accident where you become the victim of a scheme to dupe your insurance company out of thousands of dollars. Each year, all over America, insurance companies spend millions of dollars guarding themselves against misleading car accident claims. These statements are perpetrated by individuals looking to reap the benefits of these false insurance claims. How are you affected by these auto insurance scams? Who pays for the real cost of auto insurance fraud? I’ll give you a hint…it’s not the insurance companies. Sure, initially they pay, but then they turn around and jack up everyone else’s insurance premiums to make up for the loss. It’s an adverse outcome for sincere citizens. 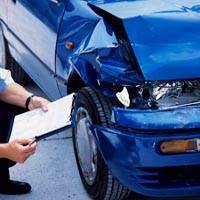 Victims Intimidated and/or Killed – Staged accidents for insurance claims are hazardous to your health. It’s a small mistake, by you as the victim and/or by the perpetrators, that could end your life or the lives of your loved ones. Premiums increased – Insurance agencies pass the cost of phony insurance claims on to everyone else in their customer base. It’s not in the company’s best interest to absorb them. Why should they? There’s no law that states they’re responsible. Most cons are performed by professionals who run rehearsals before really committing the crime. They are usually very skilled at their trade, but that does not mean you can’t take steps to prevent yourself from becoming a victim. So, what can you do to help yourself and all the other honest insurance premium payers? First, learn about the most common car accident traps carried out today. If you think you’ve witnessed a scam or are being scammed, contact you insurance provider immediately. Keep a disposable camera, paper and pen in your glove department. Pictures can be invaluable when trying to protect yourself after an accident has taken place. Take many pictures of all the cars involved, including the passengers. Record as much information as you can about each participant in the accident, including witnesses. With pictures and extensive documentation, this shouldn’t leave any room for the scammers to lie about damages to their persons and/or vehicle. The following is a list of some of the most common rip-off techniques put into practice. Paper Accident – This occurs when a criminal aggressively requests others in the auto repair and salvage industry to be a part of accidents that only exist on paper. Sometimes the con will include crooked lawyers, doctors and insurance agents. Most insurance companies don’t investigate claims under $1,000. As a result, these claims are almost always below that amount so as not to arouse suspicion. Hit & Run – Happens when a swindler reports a fake hit and run accident to their insurance provider. Swoop & Squat – This tactic is employed by a planner who suddenly swoops in front of a car and quickly squats or stops. An accessory moves to the side of the besieged victim to keep the trapped car from swerving out of the way. The passengers in the car that abruptly put itself in front of the victim’s all claim injuries that are later supported by a doctor or a chiropractor in cahoots with the others involved in the scam. Sideswipe – The same as it sounds. Where there’s a multiple turn lanes at an intersection, be on the lookout for someone who takes a left turns until another car swiftly maneuvers into the lane whereas the perpetrator suddenly speeds up to force a collision. T-Bone – Carefully planned, this tactic usually conducted when there isn’t anyone around who could counteract the eyewitness accounts of bogus witnesses. The scammer waits at an intersection until a car comes along and deliberately rams into it as the car passes. After the police arrive, phony witnesses (who were waiting nearby) tell the police officer the victim improperly ran a stop sign or red light. Wave – Used when there’s a lot of traffic with a driving situation that includes a merge and/or “right of way”. Feigning politeness, the scam artist waves to the victim, indicating that they’re yielding the right of way to them. As the victim begins to go, the scam artist rapidly accelerates to cause an accident. When police arrive, the perpetrator rejects the victim’s assertion that they gave up the right of way to them. Shady Helper – This could happen after an honest accident. A stranger approaches you after an accident and offers numbers to an auto repair shop, lawyer or doctor. This could be a setup. The auto repair shop often pads your repair cost, and a doctor may give you shady treatment or none at all. A lawyer may even try to convince you to sue the insurance company. Call the police if it seems staged! Make notations regarding seatbelts. Where they wearing them? After the police arrived, did they act injured, when they seemed perfectly fine beforehand? Treat witnesses the same as if they were involved. Record their names, addresses, phone numbers and get confirmation that they would be willing to sign a statement. If anything seems remotely “hinky”, call the police! Don’t get conned into not calling them by the other parties involved. I went to the police station to report what happened and he came out with a different partner not the one who was with them. I think they might be both in on this scam??? Sounds like a scam to me. Stick with the truth and hire a good lawyer. Write down everything, document every little detail. Take pictures when possible. Best of luck. Last year, in Oct/Nov, 2017, I was hit by a large white van while he was pulling out of the parking spot next to mine in Beverly Hills, Florida. My car is just a little Scion. I was not in the car but standing with the passenger door open looking for something in the car, when all of a sudden the door shut on me. I yelled at the guy telling me he could have killed me. So… he pulled back in the parking spot, got out and talked to me. We both had the same insurance company (State Farm). Shortly after that he got back in his van and locked the door, made a phone call and would not comment when I tried to get his attention. There were no witnesses and I did not call the police because he seemed to be an honest man, telling me how he wanted to make this right and that he wanted to do what he could so I was not implicated. IMPLICATED for what? He told the insurance company that we were both pulling out of the parking spaces at the same time. FUNNY, but I can’t see how that is possible if I was not in the car. My insurance went up, so I got another insurance company, Progressive. Moving a little forward…. Progressive dropped me after calling for a tow or some other road side assistant for either a flat tire or breaking down on the road. The man at progressive tried to tell me that they do that when a client is a bad risk. A BAD RISK for getting a flat or breaking down. How is that possible. He said if clients have a habit of driving in an unsafe place they are considered a risk. I won’t go any further with this. I am on SS and it is my only income. I tried to get another insurance company that wanted over $200 a month for a premium. Then I tried Progressive again… I want to sue the driver that put me in this position in the first place and I want to report Progressive for Insurance Fraud.